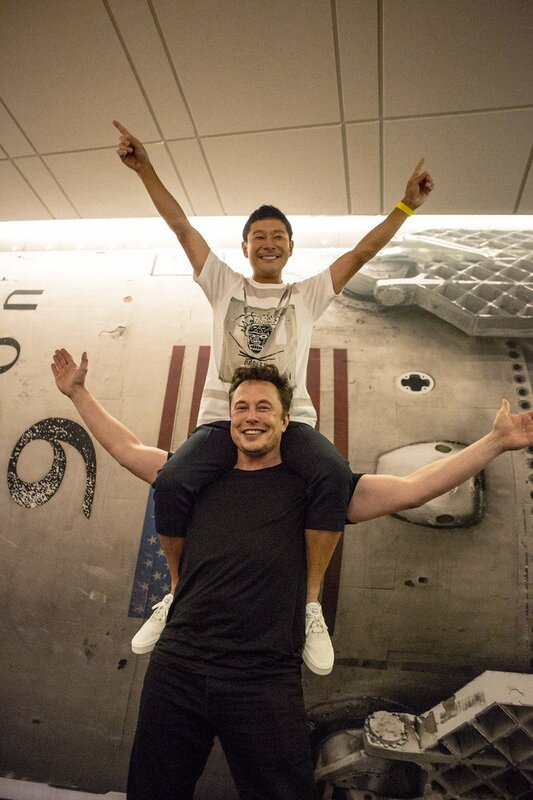 Zero gee rice cooker for BFR's trip around the Moon; how would that work? Because of where I'm currently living, I've gotten used to using a small rice cooker regularly. @Tristan has pointed out that cooking dried rice, or dried beans in boiling water could not be done in the same way on board a spacecraft. 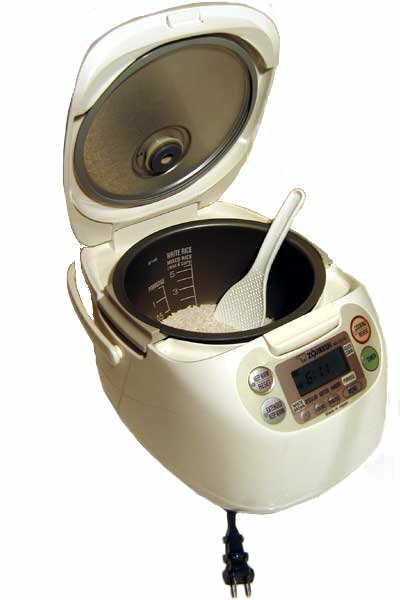 I have a hunch someone has already invented a zero gravity rice cooker, perhaps published, perhaps not. Can someone speculate how one might work on board a spacecraft? You add dried rice or beans, then add water, then close it. On Earth, the water and ingredients stay in the bottom, and the steam goes out the top, gently lifting the loose-fitting lid. Without gravity, how could one keep the boiling water and the ingredients together, and yet have steam come out safely? 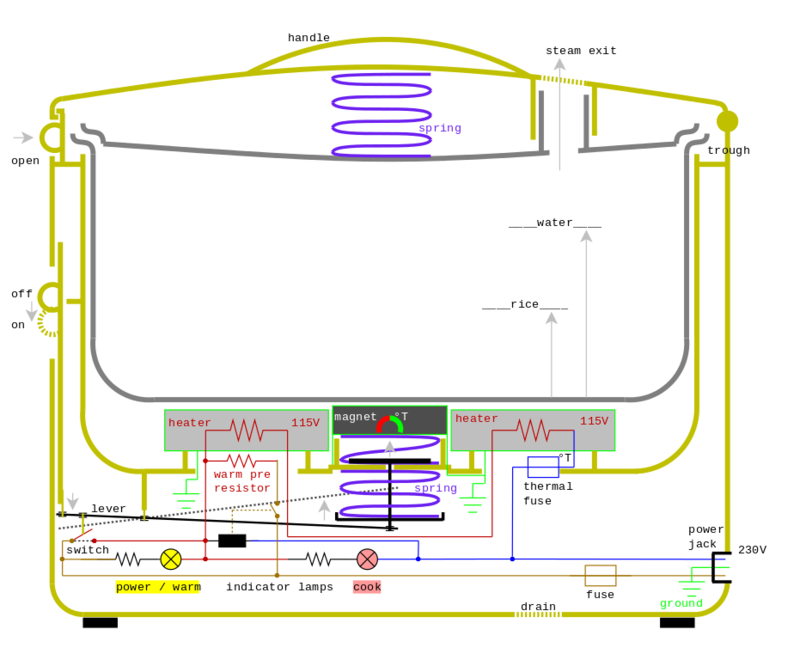 above: Diagram of a rice cooker. This is the older, purely electromechanical kind. After cooking is done, the main heater turns off (related to the magnet?) but the warmer stays on. From here. Space is a very sensitive environment and the mission control usually likes to be in control of everything and hence it's heavily monitored. Small particulates that can escape and clog filters, hot fluids that can't be recycled and/or accurately modeled in a flow within space stations or in space are generally not preferred. You can actually see with many videos by astronauts that they just like to leave their food hanging while they get something else. Here's one by ESA about rice. It looks like it is cooked rice and possible needed rehydration and reheating. The Japanese have ready-made sticky rice available and it doesn't go bad for up to a year. Something similar may be employed to provide astronauts with such fresh ingredients and not a paste full of nutrition and no taste. is the video if you like it. If you were looking to theorize on cooking rice grains in space, might I suggest a setup where one could cook rice for a long duration in hot water but not bring it to a boil? Soaking rice makes it easy to cook as it hydrates and becomes quite tender and easy to cook. Cooking at low temperatures may seem a bit of a long time stretch but well, they may have all the time in the world to wait for it. Fold the top of the pot towards the middle, making the lid much smaller. Make it spin inside the case as it's heated. It doesn't have to spin very fast; you don't need full 1g, just a small amount of g-force to enable convection. The steam vent should be in the center, able to pivot and connected to water reclamation system. And the whole cooker should be attachable to the surface, even with some velcro, or it will counter-spin around the pot. Rice would probably need to be put in the pot in perforated bags, the kind like parboiled rice is sold in - filling the cooker with loose dry grain would be tricky. Once cooked it should be sticky enough not to cause problems. Not the answer you're looking for? Browse other questions tagged spacex astronaut-lifestyle food spacex-starship reduced-gravity-cooking or ask your own question. Would the life support systems on the ISS and STS work well also in 1g? Dried beans, rice and oats, jerky, olive oil, salt, vitamins, electrolytes, water; anything else? Does SpaceX have any significant additional legal hurdles for flying private citizens around the moon? Do each of the fairing halves now use thrusters post-deployment? How does that work? Would it be possible for SpaceX's BFR to return the Hubble Space Telescope to Earth in the future? How the new BFS is supposed to dock for refuelling?